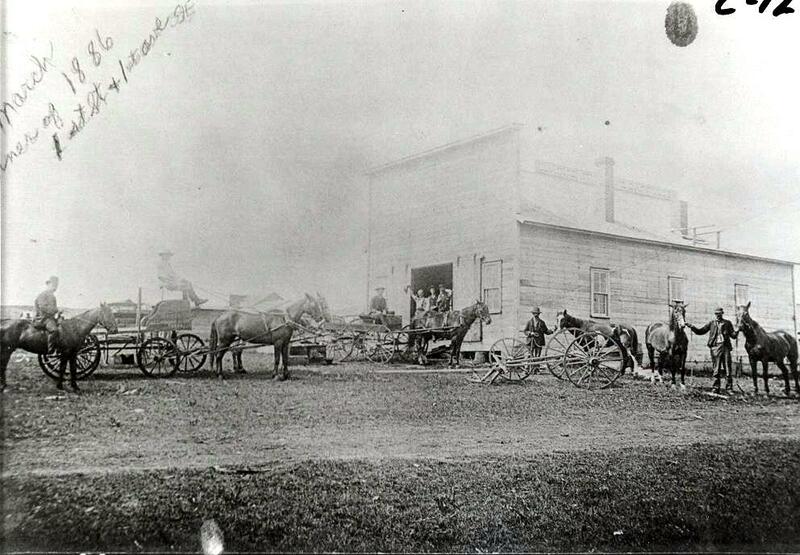 The first location for the Charlebois Blacksmith Shop was at 1st Street and 1st Avenue Southeast in 1887. They eventually moved to 313 East Central Avenue where the business continued until closing in 1984. John Charlebois, who started the blacksmith shop also had a homestead in the 188o’s. 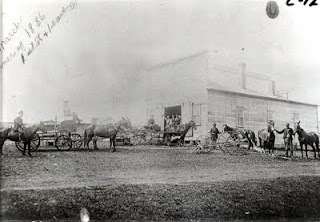 His homestead covered a large area in Minot east of Main Street and up South hill. John Charlebois donated a lot of the land to the Rosehill Cemetary. The term blacksmith came to imply an assortment of tasks as time went on. 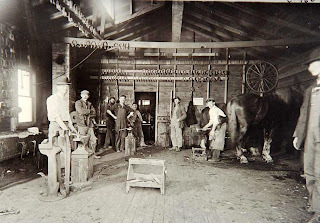 Starting out in 1887 doing a lot of horseshoeing, that has become a thing of the past. At one time they would sharpen 1500 to 2000 plow shares a season. That task disappeared with the coming of throw away” plow shares. At the end of their reign in Minot, the Charlebois Shop did a lot of ornamental iron work. I remember delivering Coke products to The Charlebois Shop on Central Avenue. In the late 60’s they had one of the few table top Coke machines that still dispensed the 6 ounce bottles for a Nickel. The first picture I believe is from 1888. The other picture is from 1886. I remember my father taking farm equipment to be repaired at 'Charley Boys' as we sometimes called it. I also remember being deafened by the noise of the forge hammers. I tried in the early middle seventies to get one of them to build me a steel pyramid frame.. but did not understand or know the right angles ,, so gave up and gave him the steel ..